Request 1 or more color choice here or let us choose for you. 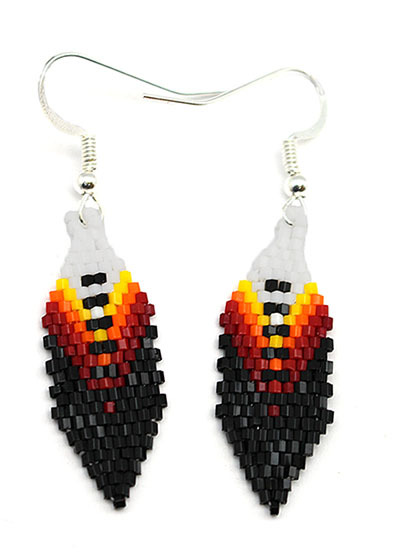 This medium feather is made using assorted cut beads. It measures 2" long with silver plated french wire by 1/2" wide at widest point. Native handcrafted by Navajo Artist Brenda Henderson. Colors will vary. Currently blue/ purple/ black, yellow / red / black or blue's with black. Choose color combo when ordering or let us choose for you.